Part two of our top trends for kids: the boys are back and ready to rule school! 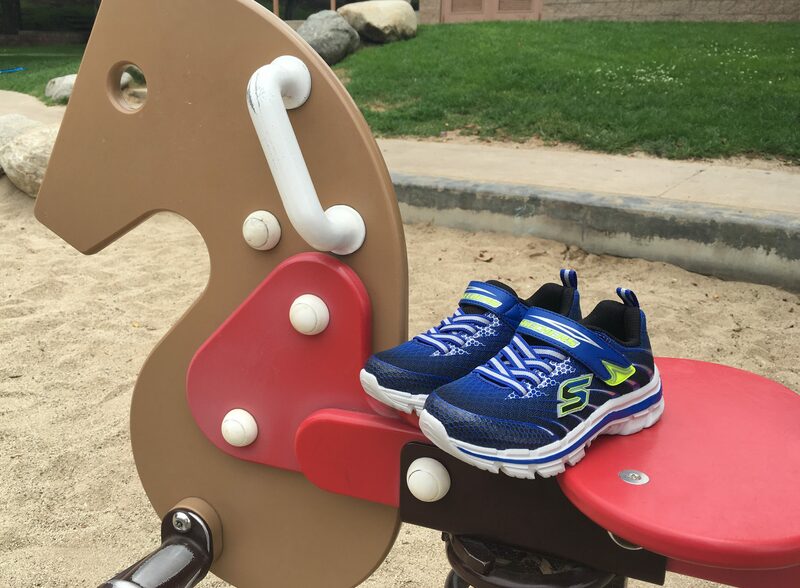 So many of Skechers’ latest looks are standout styles for comfort, color and cool, and these four topped our list as must-haves – offering everything from the latest gaming technology to roomy, cushioned comfort. The Nitrate – Pulsar pairs the latest looks with the future of technology: Skech Knit mesh makes this a nearly one piece upper (so huge seamless comfort for kids) and fresh new 3D printed details perfect for racing into school. Jump into an easy slip-on design with stretch laces and a comfy gel-infused memory foam insole, and you’re ready to go. 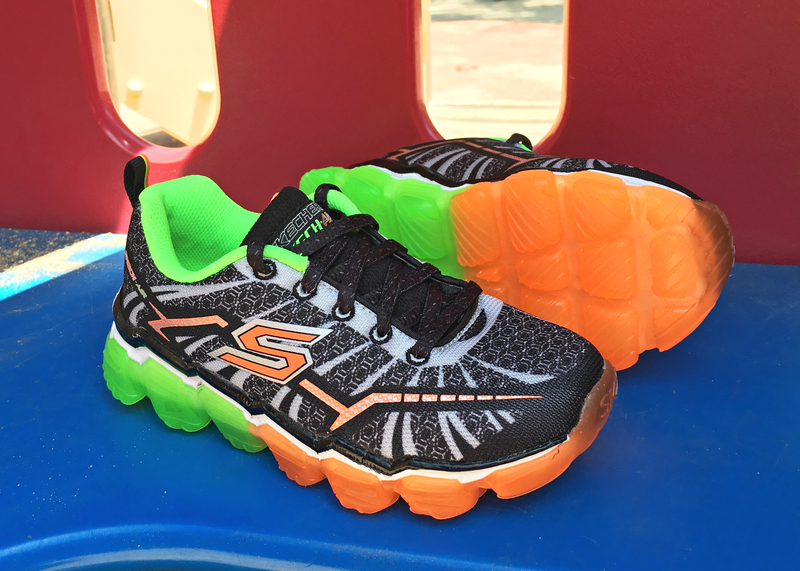 Skech-Air – Turbo Shocks are perfect for guys on the go… these shoes look blazingly fast with a black and silver upper, combined with a bold and fearless dual translucent green and orange air cushion outsole. 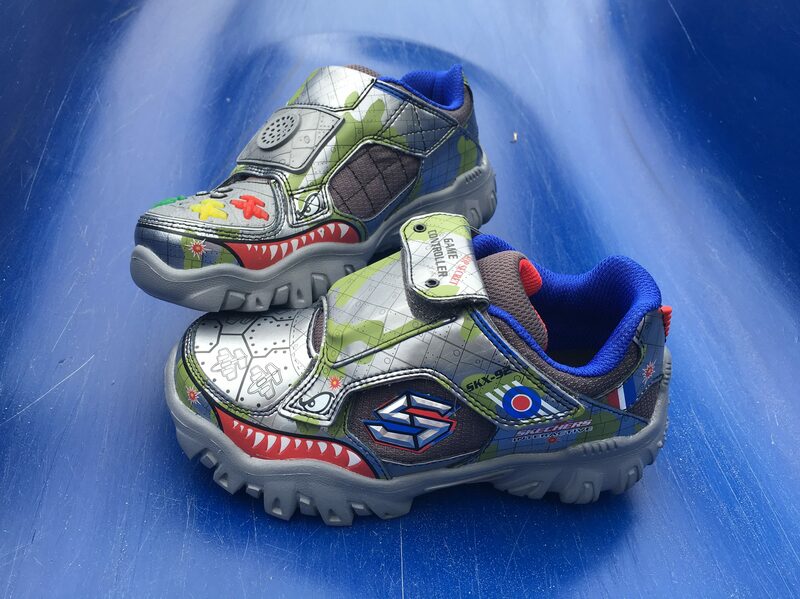 Boys will love racing on air in these sneaks! And moms and dads can take comfort in the athletic mesh fabric and gel-infused memory foam, which means all-day comfort for their feet. 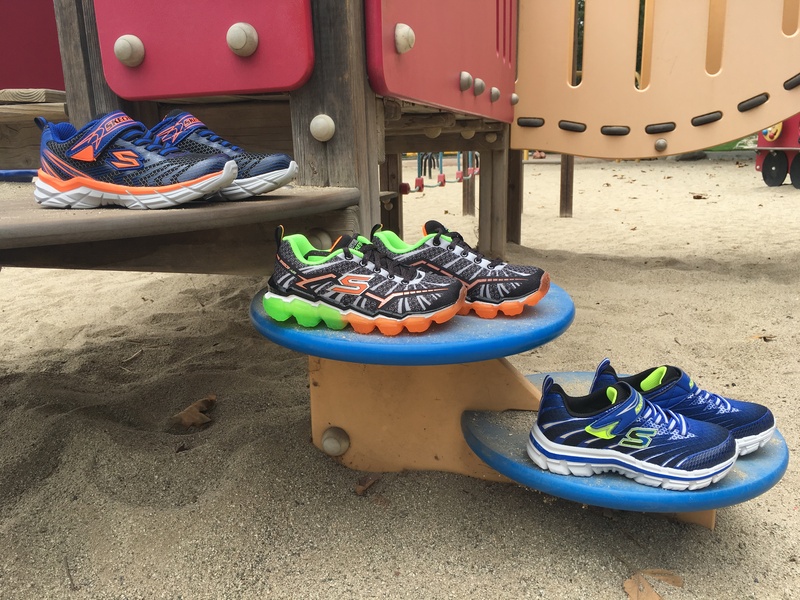 Sleek, fast and vibrant, the Rive sneaker is a popular favorite with boys. An easy slip-on athletic with glossy overlays, orange pops and a cool white bottom that’s super-smart. 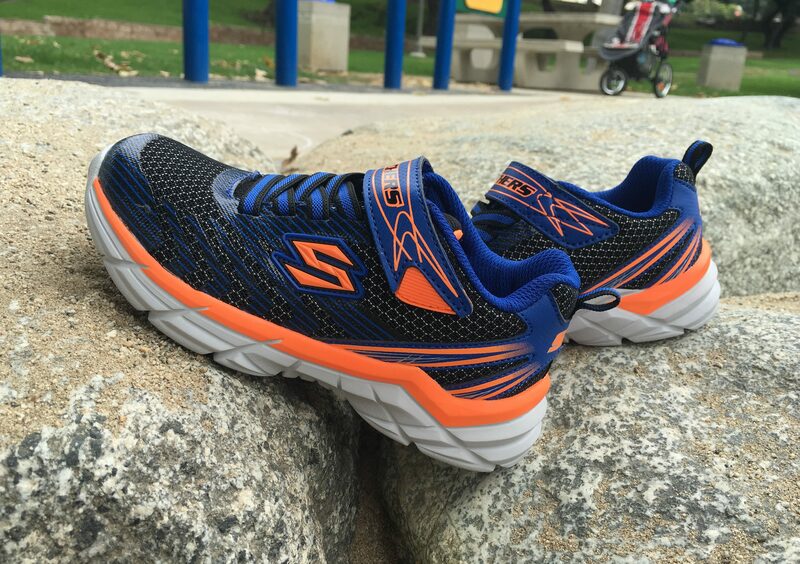 Plus it’s made with comfy breathable mesh fabric to keep you fast on your toes. Gamers unite: here’s a style that’s sure to captivate kids into the year… the shoe that you play! Boys love the Damager – Game Kicks II Fight sneaker’s airplane game feature. Complete with a metallic leather upper that’s reminiscent of an old school fighter plane, this shoe’s got lights, sound and even a remote game controller! Love our week’s top picks for boys and girls? Have some favorites of your own? Tell us in the comments!